A community MS Help KB run by the Help MVPs. The Support Groups page lists the various help discussion groups. Yahoo Discussion Group. One of the most popular help discussion groups and a favorite haunt of many of the Help MVPs. 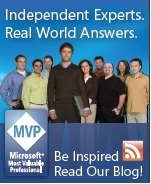 Help MVP member sites -- Looking for training, contractors, tips, authoring tools? Check out these Help MVP sites.